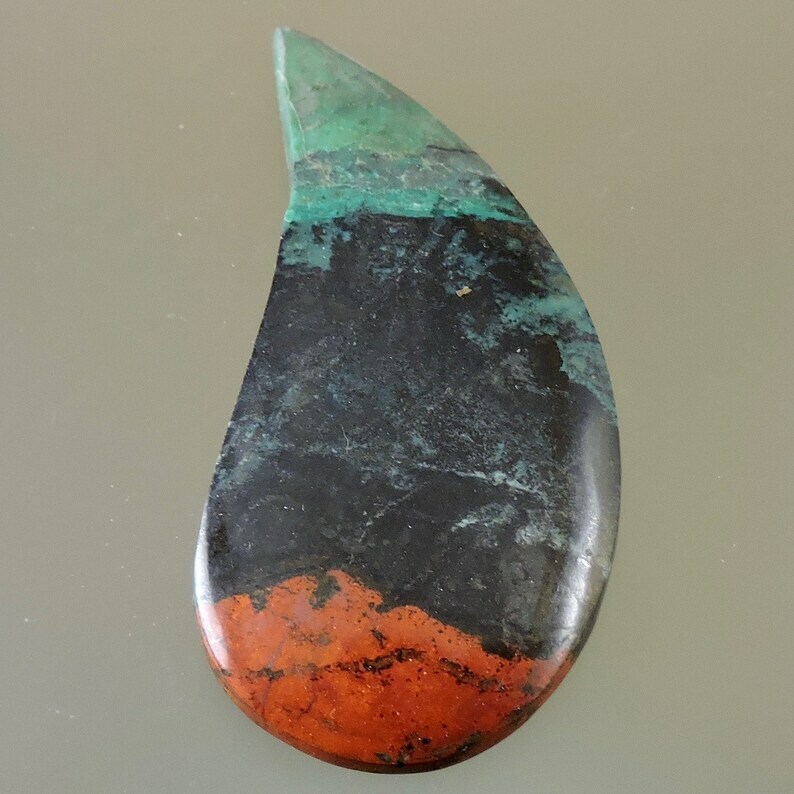 Sonoran Sunrise is red orange Cuprite with Blue Chrysocolla, Green Malachite and Black Tenorite. We came across this Rough material when we were in Mexico buying some Azurite and Malachite Mineral Specimens from a new Mine. This Mine also produced this lovely rough rock that is a very high grade copper ore. When we saw the rough it was so intense that we had to have some. Sonoran Sunrise (we named it) is from Sonora, Mexico the town of Milpillas. The colors in this stone blossom in Sun Light (incandescent light) and are less vibrant in Fluorescent light. The Stone is highly polished and creatively cut. 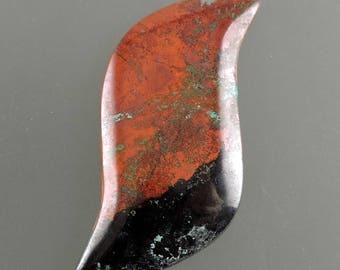 Tenorite is said to provide a grounding connection with the earth and to bring together those with a like mind. Malachite is called a "Stone of Transformation" and is said to help with spiritual evolution.